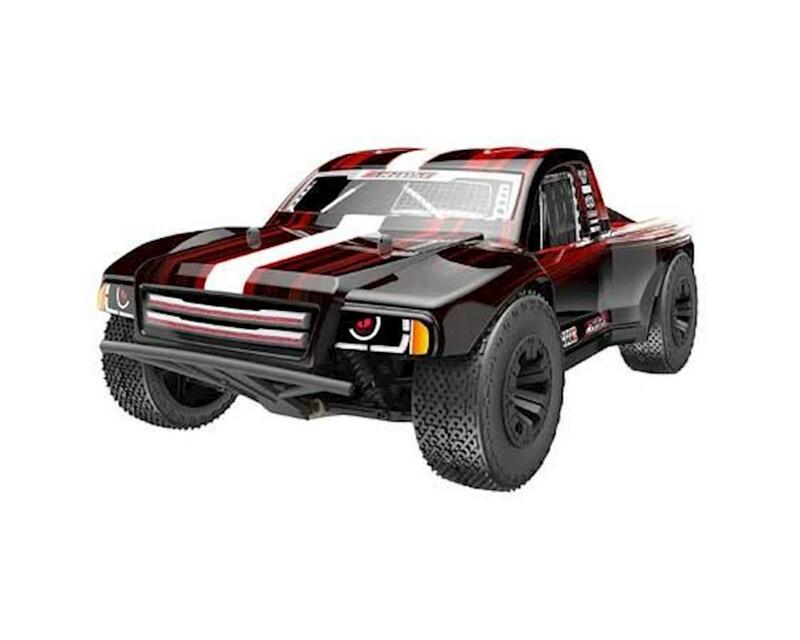 The TR-SC10E is a 1/10 Short Course Truck being offered under the Team Redcat brand. The TR-SC10E is ready to run right out of the box, just add your own LIPO batteries (DEANS Plug). Team Redcat designed the TR-SC10E to be super strong and durable. Included with the vehicle are reinforced differentials, hardened steel driveshafts, steel spur gear, oversized front bumper, high quality ball bearings, durable polycarbonate body and a lot more!.